Vision AGI’s rooflight collection encompasses all types of rooflight – from our standard range through to bespoke solutions. When it comes to architectural glazing rooflights and your living space, here’s our easy guide to the many rooflight options we offer to help you choose the most light-fantastic rooflight solution for your home! 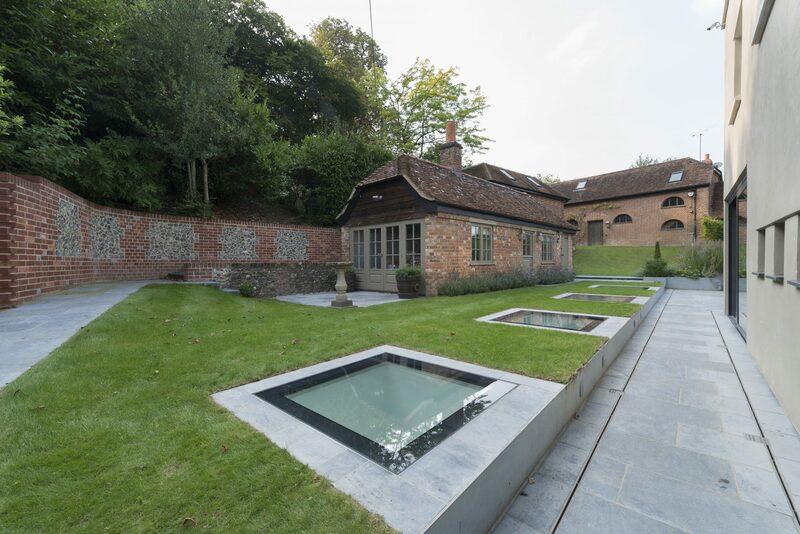 Point Fixed: Point fixed rooflights utilise totally transparent structural glass solutions with stainless steel fitting to secure them in place. They are perfect for atrium spaces especially in commercial properties. We offer many different options when it comes to spider arms and bolt systems to secure them in place. 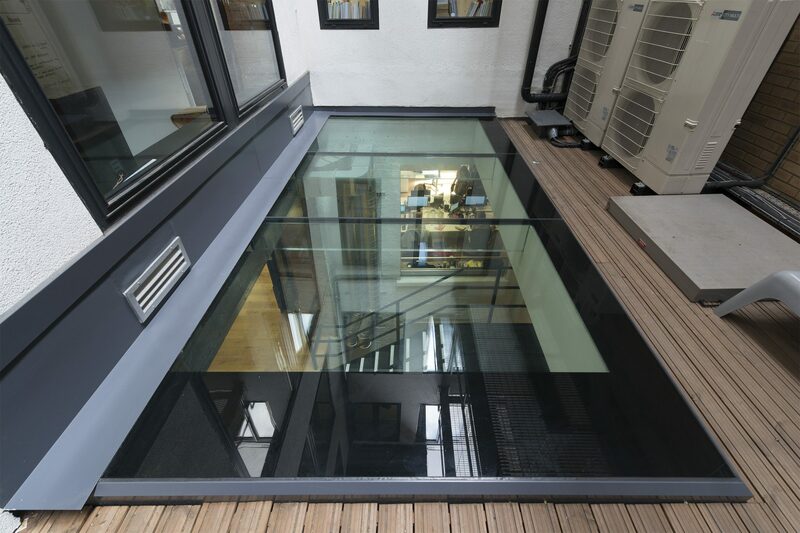 Walk-On: Walk on rooflights are perfect for flat roof terraces, roof gardens or even basement areas where you want to bring in the light. 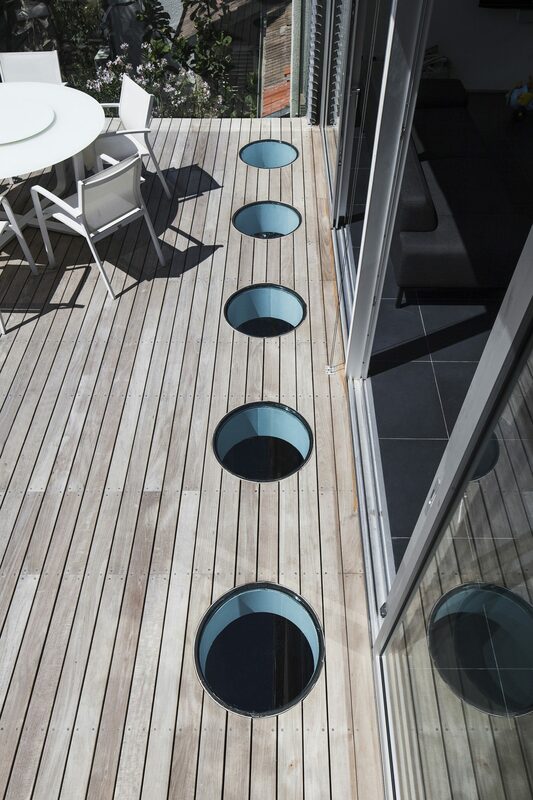 Walk on glazing means no compromising your above-room space – important when you have a roof garden or terrace, and in the case of basements, can fuse seamlessly with your outdoor area – even your lawn! Don’t forget that walk-on rooflights can also be installed internally in your home where you have a cellar or basement under an existing floor to channel light down from the room above. Rooflights not only bring a better quality of light into your home than vertical windows, but they add to the quality of your life – and the value of your home. Plus there is the energy saving aspect that is built in with all Vision AGI rooflight glazing solutions. Inspired or still undecided? Here at Vision AGI we love to talk rooflights so why not give us an obligation free call or send us a contact request and we’ll call you. Browse our case studies on line for more examples of rooflights put to dynamic and effective use is both home and business environments. When it comes to rooflights, there’s a reason why here at Vision AGI we say #wehavethevision.